and there's a similar range for Nikon users. So what do they all do? the green rectangle is the size of an APS-C crop sensor (7D, xxD / xxxD / xxxxD series - DX for Nikon users). The 15mm fisheye is designed for full-frame sensors. 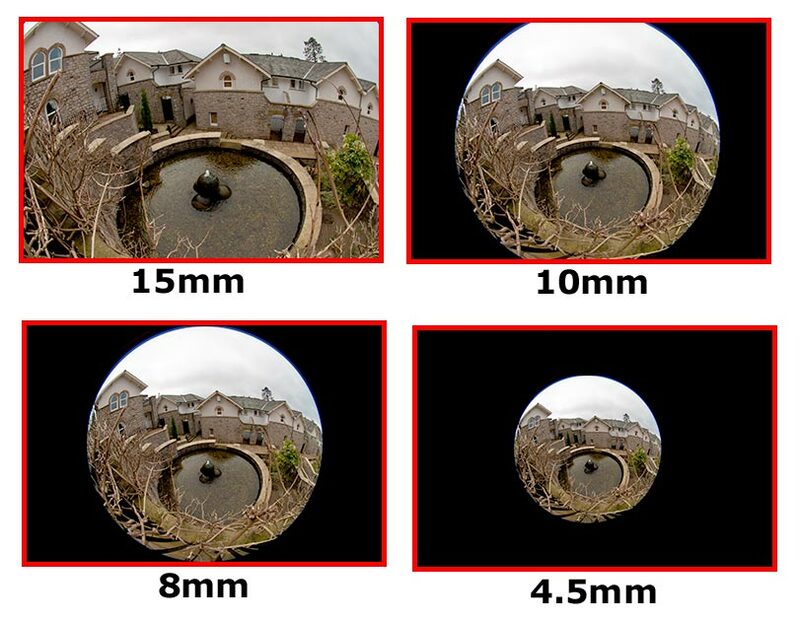 It fills the frame with an image which measures 180° across the diagonal, which is why this type of lens is sometimes called a rectangular fisheye or a diagonal fisheye. The 10mm fisheye is a diagonal fisheye designed for crop sensors. 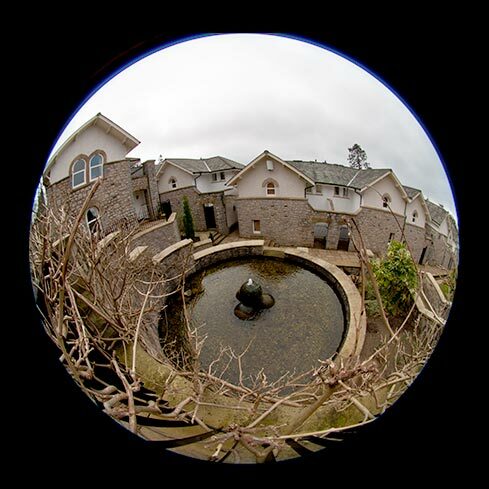 The 8mm fisheye is designed for full-frame sensors. It creates a completely circular images which just fits into the frame, which is why this type of lens is sometimes called a circular fisheye. The 4.5mm fisheye is a circular fisheye designed for crop sensors. In most cases you can mount a lens on a camera for which it's not designed. 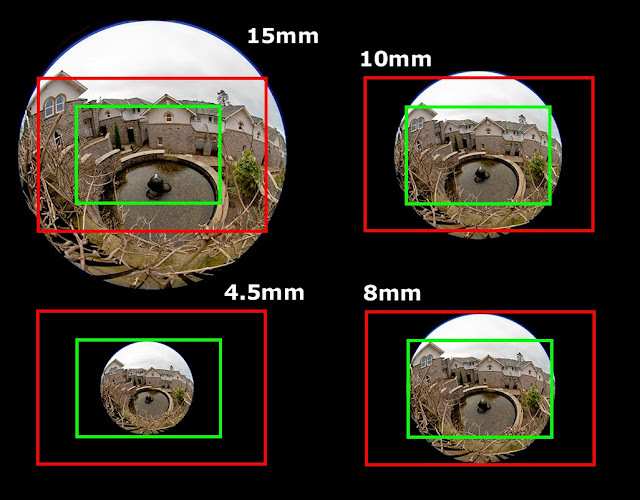 For example you can mount a 15mm fisheye on a crop-sensor camera, or you can mount a 10mm fisheye on a full-frame camera. But there's really not much point, because the effects you can achieve don't work particularly well if the size of the image circle isn't matched to the sensor. Here's what you get using each of the different fisheyes on a full-frame camera. 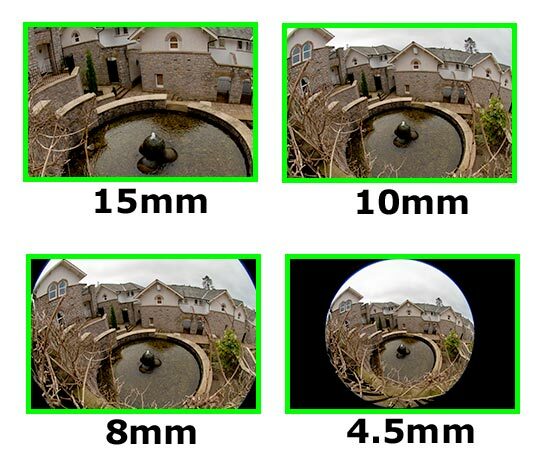 And here's what you get using each of the different fisheyes on a crop-sensor camera. Hope that all makes sense. If anybody out there has any questions, do please drop us a line!